We regularly stock brands such as Ausa, Bobcat, Bomag, Benford, CAT, Doosan, Hitachi, JCB, John Deere, Manitou, Kubota, Massey Ferguson, New Holland, Takeuchi, Terex, Thwaites, Volvo and many more. Loading facilities are available at our yard in Gloucester, we can on request load containers for export. If you are looking to buy a machine for a self-build type project we will also happily (subject to terms & conditions) offer a buy back service when you have finished the project. Our selection of used machinery is changing ever so frequently, view what we have in stock today. Based in Gloucestershire with our yard located centrally between Bristol and Gloucester, Iron and Earth Equipment Ltd are an established business with years of experience in supplying used construction, plant & agricultural machinery locally, globally, to end users, to the trade and export. Hungry for business, and with a passion for delivering excellent service, we can offer you the right machine at the right price. We stock a variety of equipment to suit all needs and budgets, if there is a specific machine you are looking for and we don’t stock it, we are likely to be able to find it for you. Our stock changes fast so please get in touch with any requirement for diggers, dumpers, telehandlers, excavators, rollers, welfare units and any other plant & agricultural machinery. Part Exchanges are always welcome and we will happily give a part exchange quotation for any equipment you have. Delivery can be arranged for all purchases worldwide, whether it be a mini digger to Bristol, a pallet of digger buckets to Gloucester or 5 containers of telehandlers to Dubai! Our business is buying and selling used plant machinery, please contact with any equipment you may have to sell. 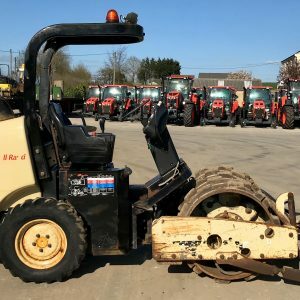 very well maintained , good boots ,recently serviced .